In the mid 60s graffiti began appearing around London proclaiming: ‘Clapton is God’. A staggering rise to fame, given that his grandparents only bought him his first guitar in 1959. Eric Clapton has been in the spotlight for close on fifty years and the portrait of his artistry is a complex one – from his early days as a guitar god, to a songwriter of great sensitivity, as well as an interpreter of everything from blues and jazz to rock and country music. His music has run the emotional gambit and on many occasions his art has reflected his life. Eric Clapton was one of the earliest British musicians to become a disciple of the Blues. Young Clapton’s interest was sparked after hearing a Sonny Terry and Brownie McGhee record on a children’s radio programme. After playing with the Yardbirds, he got his big break when he joined John Mayall’s Bluesbreakers. In 1966 they recorded the brilliant Bluesbreakers, which proved to be a breakthrough for both men. Next Clapton formed Cream with Ginger Baker and Jack Bruce. On Cream’s debut, Fresh Cream, they covered Spoonful, written by Willie Dixon and made famous by Howlin’ Wolf, it features some typical early Clapton guitar work. There are also covers of Robert Johnson, Muddy Waters and Skip James. Cream and Clapton had nailed their colours to the blues mast. The band’s follow-up, Disraeli Gears, is less of a blues album, yet they are never far away – witness 'Strange Brew', the album’s opening cut that has Clapton playing in the style of Albert King. Wheels of Fire is half studio and half live; it’s very much a return to the blues, with the opening number of the live album being Robert Johnson’s 'Crossroads' – for many it is the definitive version of this classic, for others it was their introduction to the Blues. He then embarked on a solo career, which actually started with the eponymous album released in August 1970 but was resurected with his Rainbow Concert in 1973 and was then quickly followed by 461 Ocean Boulevard the following year, There's One in Every Crowd and the live album E.C. Was Here in 1975 and then Slowhand in 1977. Eric Clapton is a rock icon, a guitar god, yet he has never lost his passion for the music that inspired him as a teenager. It was music from the mystical land of America that was played by men who he would later get to know, but back in the early 1960s they just seemed liked mystical gods. Eric’s first band was the Roosters, along with Tom McGuinness, who later played with Manfred Mann. Both of them briefly joined Casey Jones and The Engineers before Eric then joined The Yardbirds in October 1963. The Yardbirds followed the Rolling Stones as the resident band at the Crawdaddy Club, during which time Eric acquired the nickname ‘Slowhand’. To begin with Clapton was very happy, with a reasonably paying gig, in a band that mostly played the Blues. After touring and recording with Sonny Boy Williamson, the band drifted towards more chart orientated pop and Clapton became disillusioned and left (to be replaced by Jeff Beck, after Jimmy Page - who Clapton recommended, turned them down). After a spell working on a building site, John Mayall offered Eric Clapton a slot alongside John McVie and Hughie Flint in April 1965. He briefly left the band in the summer of 1965 to live in Greece, before returning to Mayall’s band in April 1966 to record Blues Breakers with Eric Clapton. Produced by Mike Vernon, it featured Mayall originals alongside ‘All Your Love’ by Otis Rush, Mose Allison’s ‘Parchman Farm’ and Little Walter’s ‘It Ain’t Right’; Eric the God like deity had arrived. In early 1966, Jack Bruce played some gigs with Mayall, and then a little later drummer Ginger Baker sat in. Somehow the idea of forming a band came up between Ginger and Eric, Eric suggested Jack should be included and in July 1966 Cream was formed, “sort of like Buddy Guy with a rhythm section” Eric later recalled. For two years and three albums, Cream were it. The band’s internal strife (Bruce and Baker found it hard to get along, but loved each other’s playing) produced dynamics that have never been bettered by a powerhouse trio. Cream sold massive amounts of albums; featuring clever band originals like ‘Sunshine of Your Love’, ‘I Feel Free’ and ‘White Room’, alongside classic pre-war Blues songs given a makeover. ‘Spoonful’, ‘I’m So Glad’, ‘Rollin’ and Tumblin’, ‘Crossroads’ and ‘Outside Woman Blues’. ‘Crossroads’ in particular gave Clapton the opportunity to demonstrate what a brilliant guitar player he was, especially at live gigs. It wasn’t just thirty-year-old Blues songs that Eric and Cream loved; Albert King’s ‘Born Under A Bad Sign’ was given the treatment too. By November 1968, Eric had grown tired of Cream and he was especially stung by criticism from Rolling Stone magazine who called him “the master of the Cliché”. At Cream’s farewell concert at London’s Royal Albert Hall, the support band was Yes, Prog Rock was making a bid to be the new genre on the block. A final album Goodbye, was released in 1969 and is a mix of live and newly recorded studio tracks, with further live releases Live Cream and Live Cream II released after the group had disbanded. Clapton had already befriended George Harrison, playing the solo on the Beatles ‘While My Guitar Gently Weeps’, shortly before forming Blind Faith in February 1969. Having met Delaney and Bonnie Bramlett while touring in America, Clapton decided a more organic approach to music was the way forward and he went on the road as part of Delaney and Bonnie & Friends, which also included Harrison and Dave Mason. Throughout Eric’s time with Blind Faith, he continued working sessions with, among others, Leon Russell (one of the Delaney and Bonnie circle). Amongst the songs he cut with Russell were ‘Sweet Home Chicago’ and Russell’s ‘Blues Power’. He also recorded with John Lennon as part of the Plastic Ono Band and with Dr. John, The Crickets, George Harrison and Jesse Ed Davis. Somehow in all of this activity, Eric managed to release his first solo album, Eric Clapton, which was released in August 1970 and was essentially Eric fronting the Delaney and Bonnie band, with songs co writen by Delaney Bramlett and Clapton. The single however, was a J.J.Cale cover 'After Midnight'. Almost as soon as his first solo album was released, Eric would be back in the studio. Writing sessions with Bobby Whitlock from the Delaney and Bonnie band, became a touring band called 'Derek And The Dominos', fitting Eric's desire to avoid the limelight. In August and September 1970, Eric went into the studio in Miami with Carl Radle (Bass), Bobby Whitlock (drums & keyboards) and Jim Gordon (Drums) to record. Producer Tom Dowd was at the time mixing the second Allman Brothers album, which would lead to Duane Allman's involvement on most of the record, most memorably the slide playing on the outro to what would become the title track 'Layla'. The album Layla and Other Assorted Love Songs is an absolute classic, but was a slow starter. 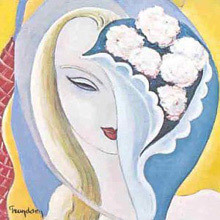 It failed to chart in the UK and took two years to reach its top 20 peak in the U.S. as 'Layla' enjoyed a slow growth at radio; released as a single in 1971, it didn't peak until in 1972. Originally a double vinyl release, the album was a mixture of covers and originals, continuing Eric's love of blues standards such as Big Bill Broonzy’s ‘Key To The Highway’ and 'Have You Ever Loved A Woman' written by Billy Myles. A version of Jimi Henrix's 'Little Wing' was recorded as a tribute and committed to tape just days before Jimi's death. With drug addiction taking its toil, Eric's next studio release would not be for 4 years, but his return to the stage in 1973, at the encouragement of Pete Townsend, would be captured for the Rainbow Concert live album and featured an all star band including Steve Winwood, Rick Grech, Jim Capaldi, Ronnie Wood and Townsend. The 1974 album 461 Ocean Boulevard is essentially the first proper solo album and was a move away from the Blues, delivering Clapton his first U.S. #1 single and a U.K. top 10 with his cover of Bob Marley's 'I Shot The Sheriff'. Echoing the single, the album would hit #1 in the U.S. and number 3 in the U.K. As would be the formula for many of the releases to follow, despite heading towards a more commercial sound, Eric included Blues covers such as 'Motherless Children' & Robert Johnson's 'Steady Rolling Man'. In the 1974 concert, included as a second disc in the deluxe version of the album, is a three track blues medley featuring Elmore James' 'The Sky In Crying' which Eric would capture in the studio on his next album There's One In Every Crowd. The album was recorded in Jamaica and led by a version of the traditional song 'Swing Low Sweet Chariot' as a single. 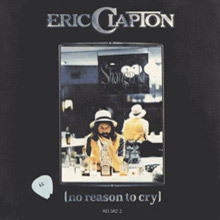 The fourth solo studio album No Reason To Cry was recorded at The Band's studio in 1976 and featured contributions from not only all five members, but also Bob Dylan, who duets with Eric on 'Sign Language', a track he also wrote. Later that year, both Clapton and Dylan would appear at The Last Waltz concert, The Band's farewell show, famously filmed by Martin Scorsese. After a couple of commercially disappointing albums, everything would seemingly fall into place for 1977's Slowhand. The album may have just missed out on the number 1 spot in the U.S. but it was the first of his albums to go multi platinum and produced three hit singles in 'Lay Down Sally', 'Wonderful Tonight' & another J.J. Cale song 'Cocaine'. 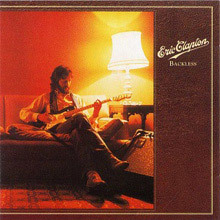 Clapton would record two more studio albums for Polydor before moving labels; Backless followed Slowhand and would include another contribution from J.J. Cale and 2 tracks written for him by Dylan whilst Another Ticket, released in 1981 would represent more of a sea change, with a new backing band (including Albert Lee on guitar and Procol Harum's Gary Brooker) and the majority of songs written by Clapton. There was of course still space for the Blues tracks; Muddy Waters' 'Blow Wind Blow' and 'Floating Bridge' by Sleepy John Estes. In 2013 Eric Clapton’s 20th studio album came out and just goes to prove that some things just get better with age. Clapton has been treading his own musical road for some time now and this album is proof positive. Just two of the twelve tracks on Old Sock are new songs, the rest are tunes that he obviously loves, songs to which he brings his unique guitar-toting troubadour perspective. A 2 disc live album Just One Night was released in 1980 and recorded in Japan after the Backless album. It is different in almost every way to the E.C. Was Here live release in 1975, demonstrating just how much had happened in the intervening 5 years. The common factor is of course the Blues, a Clapton show just is not complete without an extended blues instrumental where Eric gets to show where it all came from. Listen and enjoy. There are some excellent compilations covering Eric Clapton's lengthy career at Polydor; the 4 disc Crossroads set starts with Bluesbreakers, through Cream and Blind faith through to the solo albums, whilst Crossroads 2 is a 4 disc live set spanning the 70's recordings. Timepieces features all of the solo hit singles, whilst the Cream Of Clapton is expanded to include the best know Cream songs. The 2 disc Complete Clapton is exactly that and includes the hits that he had after moving to Warners. 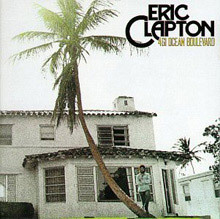 Slowhand was recorded at Olympic Studios in South West London in May 1977 and was produced by Glyn Johns using Eric’s touring band. Released in November 1977,Slowhand was the most successful album of Clapton’s 70s studio recordings. It reached No.2 on theBillboard chart, where it stayed for five weeks, spending a total of seventy-four weeks on the American album chart. Slowhand features Wonderful Tonight, Lay Down Sally and Cocaine– songs that are still heard regularly on radio and at Eric Clapton’s live shows. So long after it’s release is a great recommendation and testimony to its place in Clapton’s canon. The album includes cover versions of songs written by some of his favorite songwriters at the time, along with original compositions by Eric Clapton. Eric Clapton - 461 Ocean Blvd. This album topped the U.S. album charts for a month in the summer of 1974 and went Top 3 in the U.K which gives you an instant public barometer on its quality. 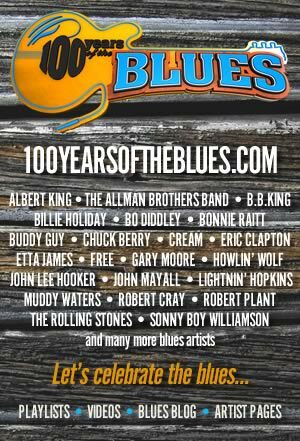 It is full of great tracks, from the Blues to R&B, and Clapton originals. Some tracks, like, Bob Marley's I Shot The Sheriff, and Clapton's own, Let it Grow have become staples of his live show and on radio playlists. Yet it's another of those albums that sounds so good precisely because it has been conceived as a whole. It's been called "charming", which indeed it is, but it's also one of those albums to play on a warm summer's night or a cold winter's evening - it draws you in and warms the heart. 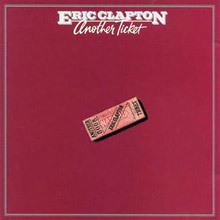 1981's Another Ticket was an album that had trouble coming to fruition, and when Clapton was promoting it on a string of U.S. live dates he collapsed due to stomach ulcers - it almost killed him. The album itself ended up making No.7 on the U.S charts and the single, I Can't Stand It did likewise. It features guitarist extraordinaire, Albert lee along with Gary Brooker, from Procol Harum, on keyboards. Besides some Clapton originals there's more than a nod to the Blues with a cover of Muddy Waters's Blow Wind Blow. There's also a cover of Sleepy John Estes's Floating Bridge. Estes was born in Ripley, Tennessee, 41 years later Eric Clapton was born in Ripley, Surrey. Backless came out in the autumn of 1978 and had the unenviable task of following the mighty Slowhand album. 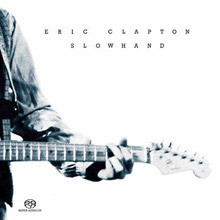 It is similar in feel to Slowhand is another one of those 1970s Eric Clapton albums that should be listened to in a sitting, not cherry picked for the best tracks. It is full really good songs, including another from J.J. Cale, I'll Make Love To You Anytime and a couple of Bob Dylan covers. Promises was the hit single from the album, yet it sounds so much better within the context of Backless. A four-disc box set spanning Eric Clapton's entire career -- running from the Yardbirds to his '80s solo recordings -- Crossroads not only revitalized Clapton's commercial standing, but it established the rock & roll multi-disc box set retrospective as a commercially viable proposition. Bob Dylan's Biograph was successful two years before the release of Crossroads, but Clapton's set was a bona fide blockbuster. And it's easy to see why. 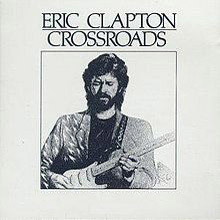 Crossroads manages to sum up Clapton's career succinctly and thoroughly, touching upon all of his hits and adding a bevy of first-rate unreleased material (most notably selections from the scrapped second Derek and the Dominos album). Although not all of his greatest performances are included on the set -- none of his work as a session musician or guest artist is included, for instance -- every truly essential item he recorded is present on these four discs. No other Clapton album accurately explains why the guitarist was so influential, or demonstrates exactly what he accomplished. Wishing to escape the superstar expectations that sank Blind Faith before it was launched, Eric Clapton retreated with several sidemen from Delaney & Bonnie to record the material that would form Layla and Other Assorted Love Songs. From these meager beginnings grew his greatest album. Duane Allman joined the band shortly after recording began, and his spectacular slide guitar pushed Clapton to new heights. Then again, Clapton may have gotten there without him, considering the emotional turmoil he was in during the recording. He was in hopeless, unrequited love with Patti Boyd, the wife of his best friend, George Harrison, and that pain surges throughout Layla, especially on its epic title track. But what really makes Layla such a powerful record is that Clapton, ignoring the traditions that occasionally painted him into a corner, simply tears through these songs with burning, intense emotion. He makes standards like "Have You Ever Loved a Woman" and "Nobody Knows You (When You're Down and Out)" into his own, while his collaborations with Bobby Whitlock -- including "Any Day" and "Why Does Love Got to Be So Sad?" -- teem with passion. And, considering what a personal album Layla is, it's somewhat ironic that the lovely coda "Thorn Tree in the Garden" is a solo performance by Whitlock, and that the song sums up the entire album as well as "Layla" itself. This 1980 live album is as good an example of Eric Clapton doing what he does better than almost anyone else as there is. With a band led by another guitar-slinger, the almost legendary, Albert Lee, and including the excellent Chris Stainton (Ex Grease Band) and Henry Spinetti on drums – this is a band led tour-de-force. It features some blistering solos from Clapton, including, "Double Trouble" and "Rambling on My Mind." It also features songs from many of his 1970s studio albums, including, Lay Down Sally, Wonderful Tonight and the uniquitous, Cocaine. If you never saw Eric Clapton play live at this time, or indeed any time in the last three decades this is as close as it gets to experiencing the real thing. Not to be missed. When he gave a speech inducting the Band into the Rock &amp; Roll Hall of Fame, Eric Clapton said that after he heard their debut album, Music from Big Pink, he wanted to join the group, the fact that they already had a guitarist in Robbie Robertson notwithstanding. In the winter of 1975-1976, when he cut No Reason to Cry at the Band's Shangri-La Studio in Malibu, CA, he came as close as he ever would to realizing that desire. Clapton is a musical chameleon; though some of No Reason to Cry is identifiable as the kind of pop/rock Clapton had been making since the start of his solo career (the best of it being "Hello Old Friend," which became his first Top 40 single in two years), the most memorable music on the album occurs when Clapton is collaborating with members of the Band and other guests. He duets with Band bassist Rick Danko on Danko's "All Our Past Times," and with Bob Dylan on Dylan's "Sign Language," as Robertson's distinctive lead guitar is heard rather than Clapton's. As a result, the album is a good purchase for fans of Bob Dylan and the Band, but not necessarily for those of Eric Clapton. 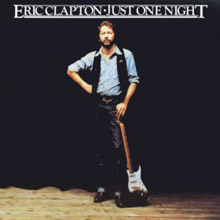 "Last Night," which is a traditional 12-bar blues song credited to Clapton. Eric Clapton's eponymous solo debut was recorded after he completed a tour with Delaney &amp; Bonnie. Clapton used the core of the duo's backing band and co-wrote the majority of the songs with Delaney Bramlett -- accordingly, Eric Clapton sounds more laid-back and straightforward than any of the guitarist's previous recordings. There are still elements of blues and rock & roll, but they're hidden beneath layers of gospel, R&B, country, and pop flourishes. And the pop element of the record is the strongest of the album's many elements -- "Blues Power" isn't a blues song and only "Let It Rain," the album's closer, features extended solos. 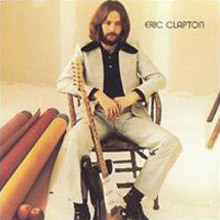 Throughout the album, Clapton turns out concise solos that de-emphasize his status as guitar god, even when they display astonishing musicality and technique. That is both a good and a bad thing -- it's encouraging to hear him grow and become a more fully rounded musician, but too often the album needs the spark that some long guitar solos would have given it. In short, it needs a little more of Clapton's personality. 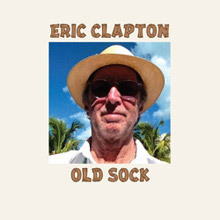 Old Sock is Eric Clapton’s 20th studio album and just goes to prove that things just get better with age. Clapton has been treading his own musical road for some time now and this album is proof positive. Just two of the twelve tracks are new songs, the rest are tunes that he obviously loves, songs to which he brings his unique guitar-toting troubadour perspective. There’s Otis Redding's ‘Your One and Only Man’, along with a Taj Mahal's ‘Further On Down the Road’ – if one other blues loving musician occupies the same space as Clapton it is Taj Mahal. There’s Peter Tosh's 'Till Your Well Runs Dry,' and what finer nod to the music that made him a guitar god is there than Gary Moore’s ‘Still Got the Blues’? At the other end of the blues spectrum he does Lead Belly’s ‘Goodnight Irene’. Thirty or forty years ago would we ever have believed Eric Clapton and Paul McCartney would have covered the old standard ‘All of Me’? Miss this at your peril; it’s a wee gem of an album.